Re-released in 1994, this is the original “Heavy” magnet speaker, characterised by a tight bass and plenty of upper mid-range attack. Choose this speaker for an uncompromising hard rock tone. It’s powerful enough to cut through at loud stage levels, adding a harder edge to lead lines and solos and bringing more attitude to smoother amp tones. Get the Celestion G12H Anniversary impulse responses and add instant Heavy magnet swagger to your tone, wherever you are. Listen to a sample of this Impulse Response below. Join our mailing list to receive information on new product updates, freebies and special offers and CelestionPlus news. Just enter your email address and hit subscribe. 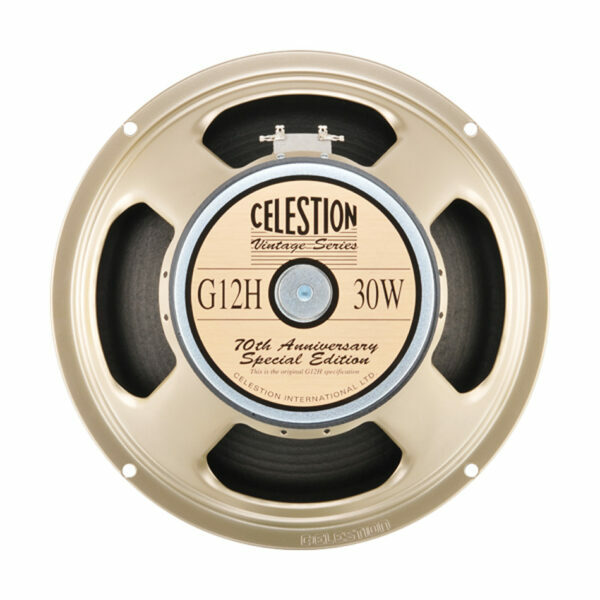 © 2019 Celestion Impulse Response.